So.. 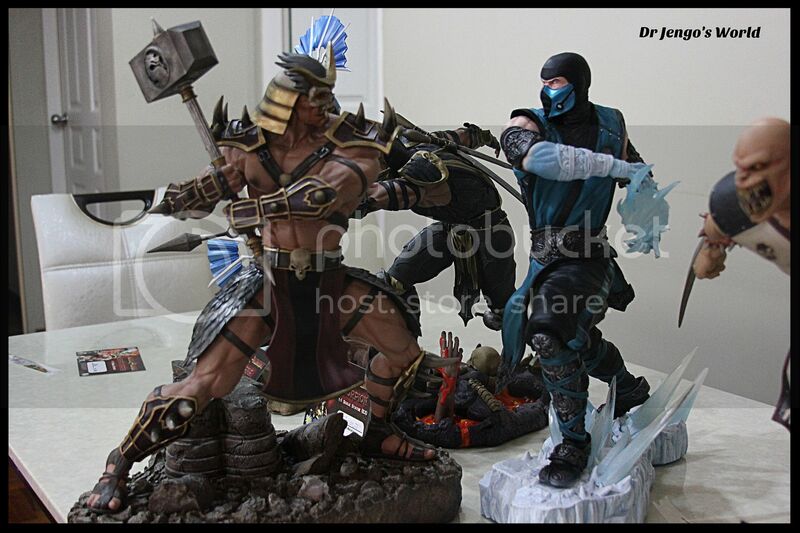 I got the MK9 Sub-Zero Statue from PCS Collectibles just some time back. 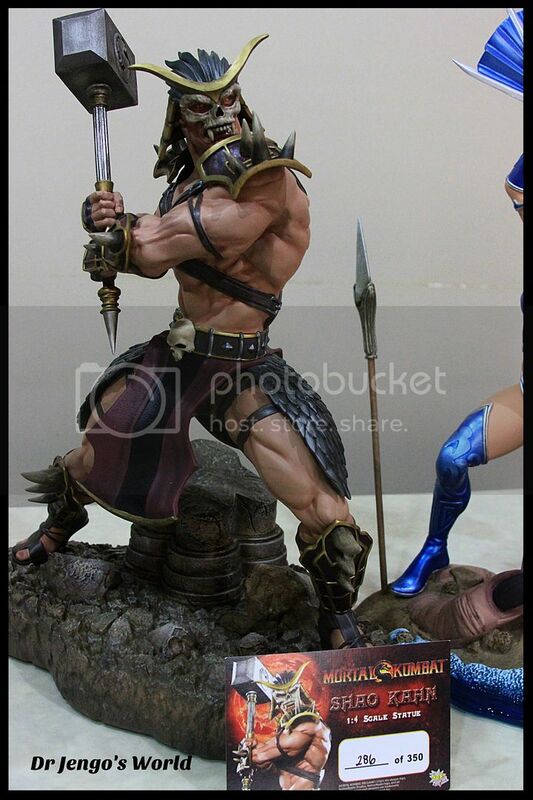 It was an awesome-looking statue, another masterpiece by PCS Collectibles. Fantastic detail, great presence.. Just fantastic! However, with SubZero, that concluded the 'MK9 line' from the company. So, it was time to get them all out for a photoshoot! There they are.. 5 iconic characters going down in collectible history. I'm honoured to own them all! 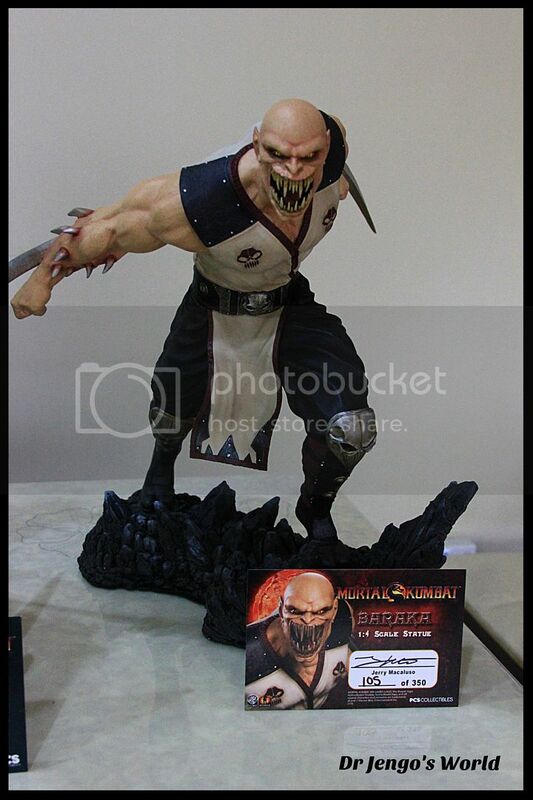 While it's sad to see it come to an end, especially with so many MK9 characters that I would have loved to see as a statue.. Ermac, Cyrax, Sektor, Nightwolf are just some characters that would have been a great addition to the collection. More pics of the quintet..
Looks so bloody awesome! No space on the dining table for more but I would have loved to see a longer line-up! 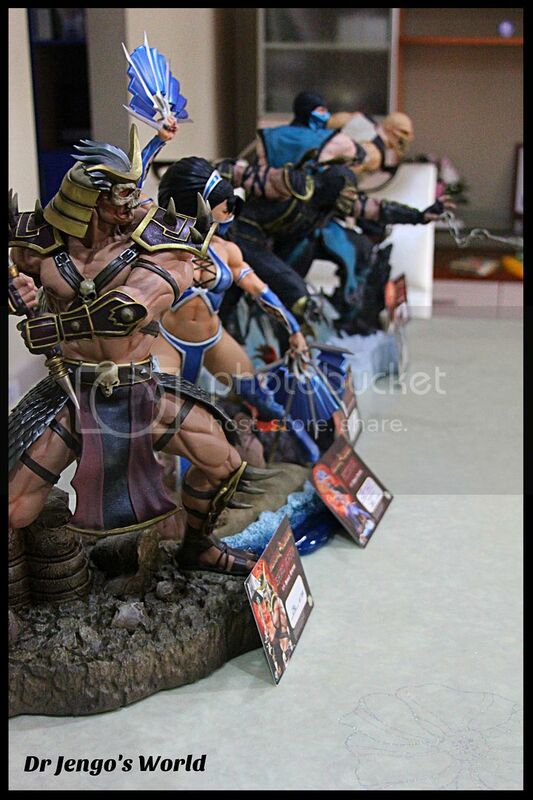 As you can see Shao Kahn is similar in height to Sub-Zero, which shouldn't be the case.. 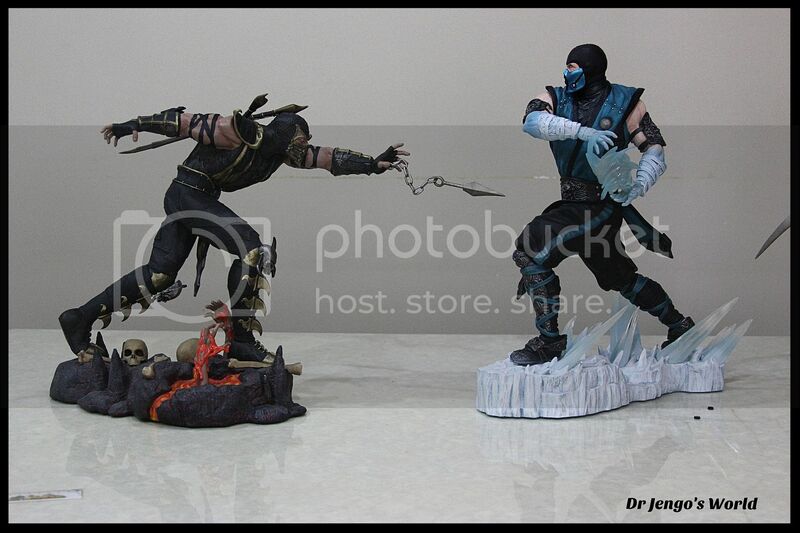 He has to be significantly taller than Sub-Zero considering both of their stances are slightly crouched. Still, not too bad, especially with the way I lined them up above. Which comes to the negative comments. I absolutely love these pieces and have zero regrets about buying them, considering it took me a while to get into this line. 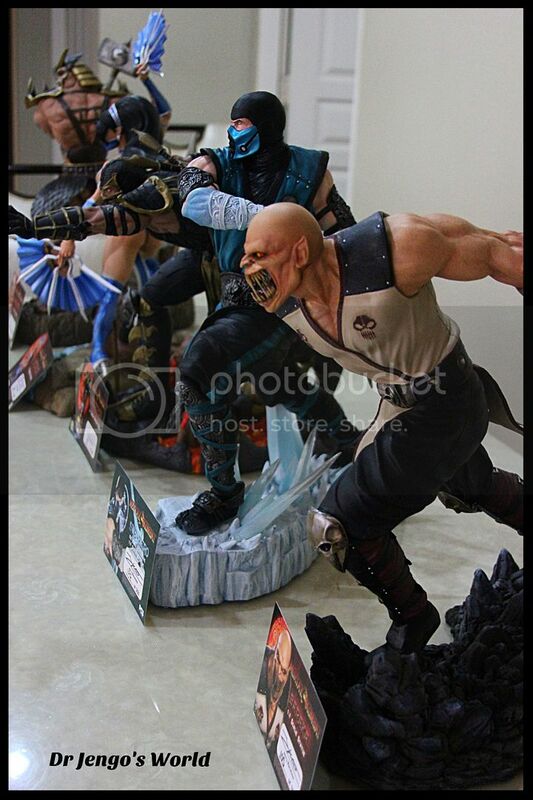 I think the pics speak for themselves about the quality of these statues. However, I believe it's only fair that I mention the 'not-so-good' stuff about these as well. 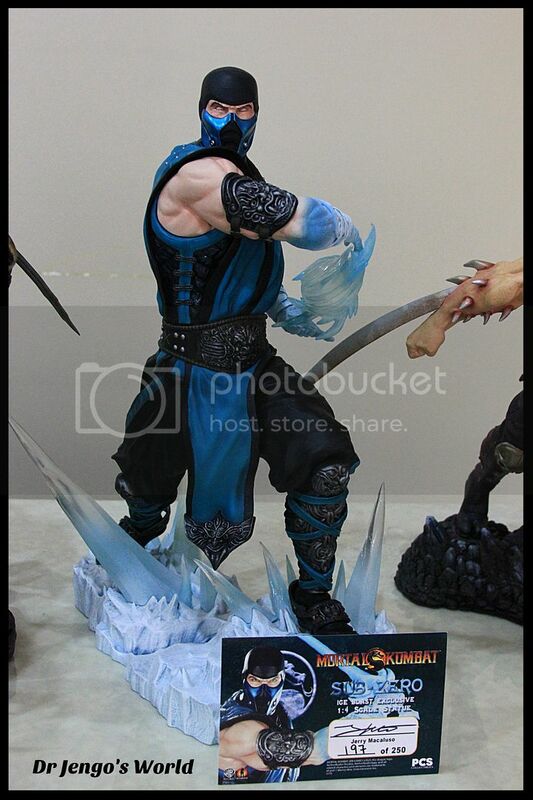 With the first 4 COAs all with a black and red-dragon theme, why was it suddenly changed for Sub-Zero? 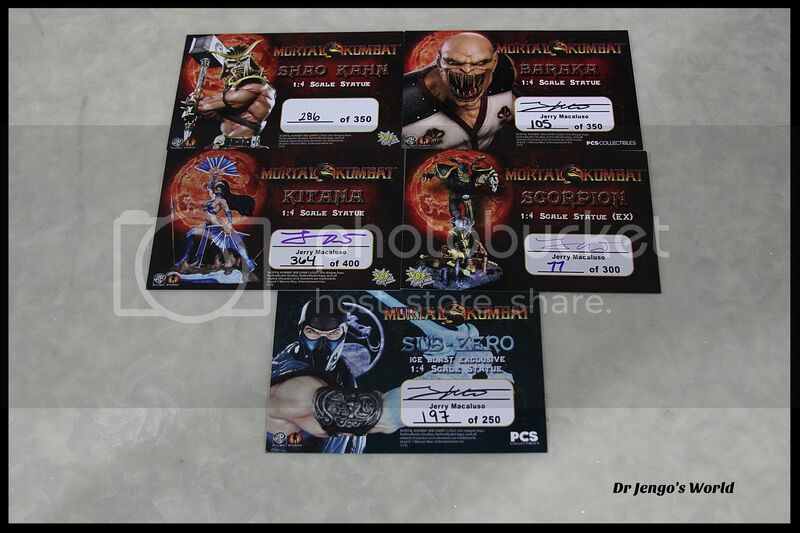 I have an OCD for consistency so I guess this bugs me more than it should..
Plus, for some reason Jerry decided not to sign the Shao Kahn COAs, only for him to continue signing them after that..
Rubber stoppers.. 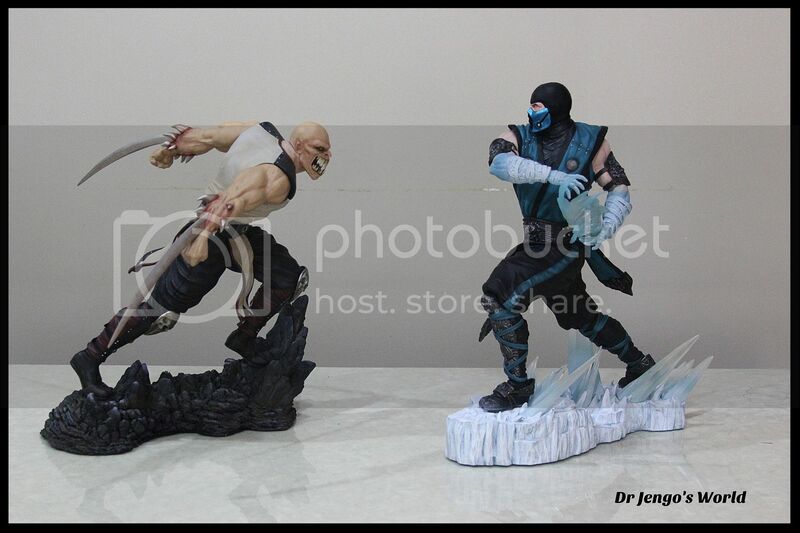 They didn't have rubber stoppers on the bases all the while but then decided Sub-Zero should have them. Good to have I guess but the glue just isn't strong enough and almost all of them have dropped out as I move the statue against the table-top. Another quality issue which seem to happen only with the MK9 line (didn't have this issue with the Klassic line, maybe different production factory?) 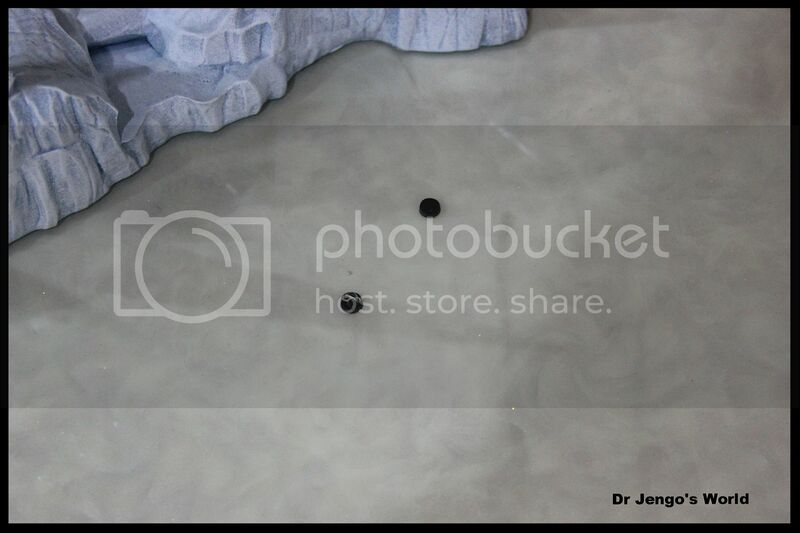 was the fact that they kept painting over the magnets and the glue isn't strong enough. Sometimes the magnets come out of their pegs and are stuck to the other magnet. (I'm not explaining this properly.. Hope you know what I mean). Not a biggie to 'repair' on my own but it keeps happening over and over again, even with the newer statues. Just some things I needed to let off my chest.. Other than that, these are amazing pieces done by the PCS Collectibles' team. Great choice of characters, even though I would have been happy with just about anyone. MK9 also did have some very simple but well-done outfits. 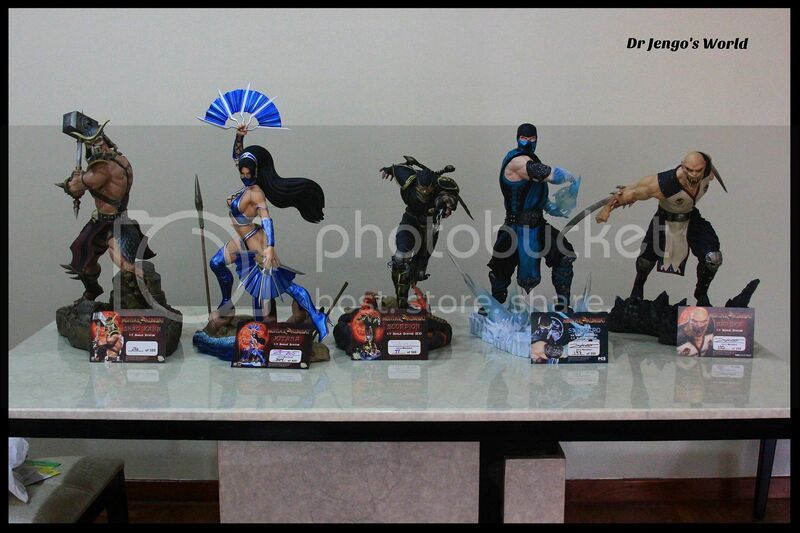 Finally, with the MK9 line done, I'm considering getting a display space just for these. So just some measurements which might come in useful for you guys too.. The length of the table that the statues are on is about 160cm. The statues are a bit closely packed so you might want a bit more breathing space between each one, so maybe 170-180cm? 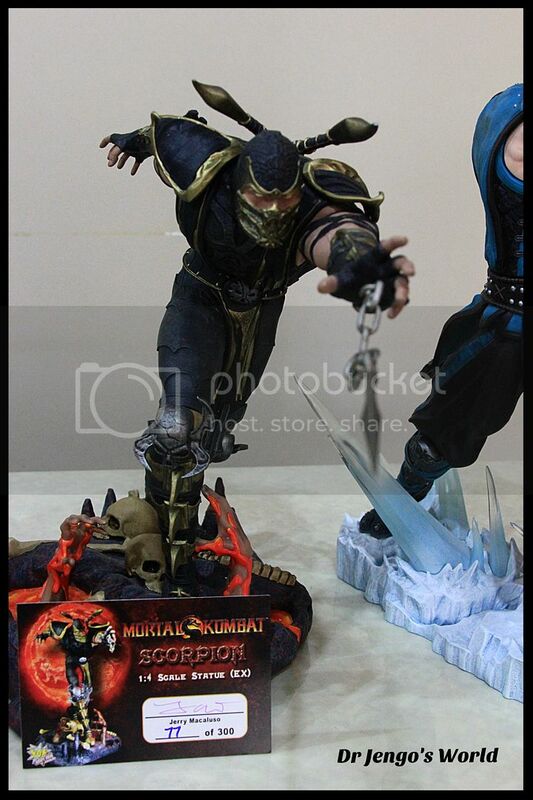 Depth is 70cm, due to Scorpion's spear. 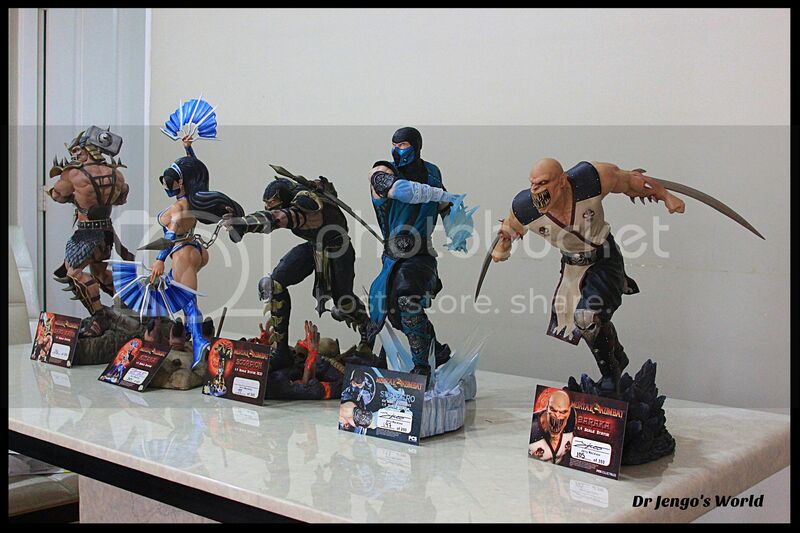 Blimey, I forgot to measure height.. the Kitana statue is the tallest to the tip of the blade, 60cm I believe? 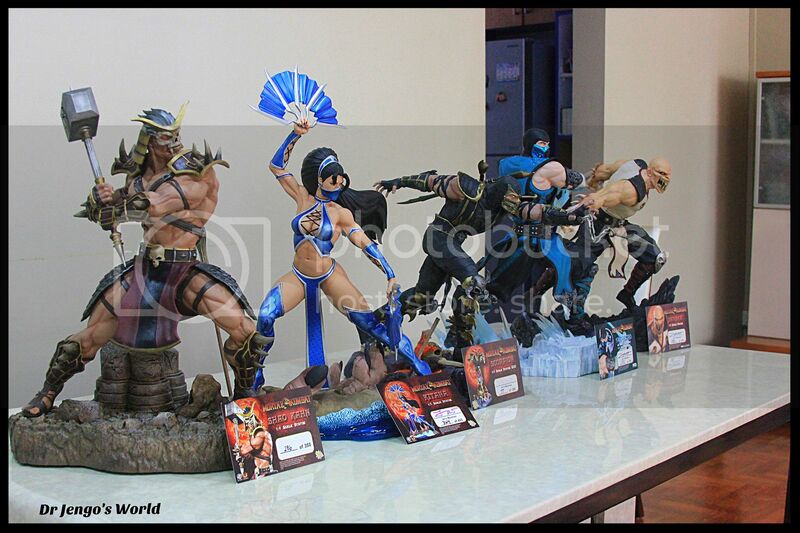 Also, considering if I should merge the MK9 line with the MKX ones, so we will see. Great stuff! Might have to do a line-up with the Klassics some day.. Hope you enjoyed the pics!